TRAVEL.org - Mississippi. Find resorts and hotels, and more. Courtyard Vicksburg - Travelers visiting our Vicksburg, Mississippi hotel receive the highest level of accommodations, state of the art fitness center equipment, excellent swimming facilities, multi terminal business center and information. Marriott Jackson Hotel - Get away to Jackson Marriott ' one of the premier Jackson, Mississippi, hotels ' and experience gracious hospitality and luxurious guest rooms in the heart of Downtown. Wingate by Wyndham Hotels - You'll get all your lodging needs met at the Wingate. Indulge in well-appointed guestrooms and suites, first-rate service, appealing amenities and great locations near Biloxi, the historic sites of Vicksburg and the beaches of the Gulf Coast. Hilton Garden Inn Jackson Downtown - Once the King Edward Hotel, built in 1923, Hilton Garden Inn Jackson Downtown is an elegant, historic hotel with newly-renovated rooms & suites, flex event space, restaurant, fitness and business centers – the cultural heart of downtown Jackson. Courtyard Gulfport Beachfront - Discover one of the premier hotels in Gulfport, MS ' Courtyard Gulfport Beachfront. With a prime location along miles of beachfront, spacious guest rooms, complimentary high-speed Internet & on-site dining, you'll never want to check out of paradise. Best Western Mississippi Hotels - 37 hotel locations throughout Mississippi, you're likely to find our exceptional Southern hospitality wherever your travels take you. From Tunica to Tupelo, Boonville to Brookhaven, Greenwood to Gulfport and many towns in between. 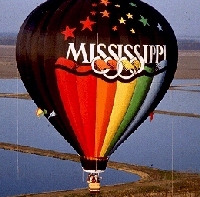 Biloxi Hotels and Accommodations - Discounted rates on Hotel rooms, Car Rentals, Flights, Vacation Rentals. Discountedhotels.com, your complete travel resource. Bonne Terre Country Inn and Cafe - Nesbit, MS. /Memphis Area. Secluded on 100 acres, with Jacuzzi tubs, fireplaces, and full service dining. Country Chic at it's best!